JANE PROCTER IS A LONDON BASED ARTIST. As a multi-media creative Jane's career has spanned newspapers, magazines, television and the internet. 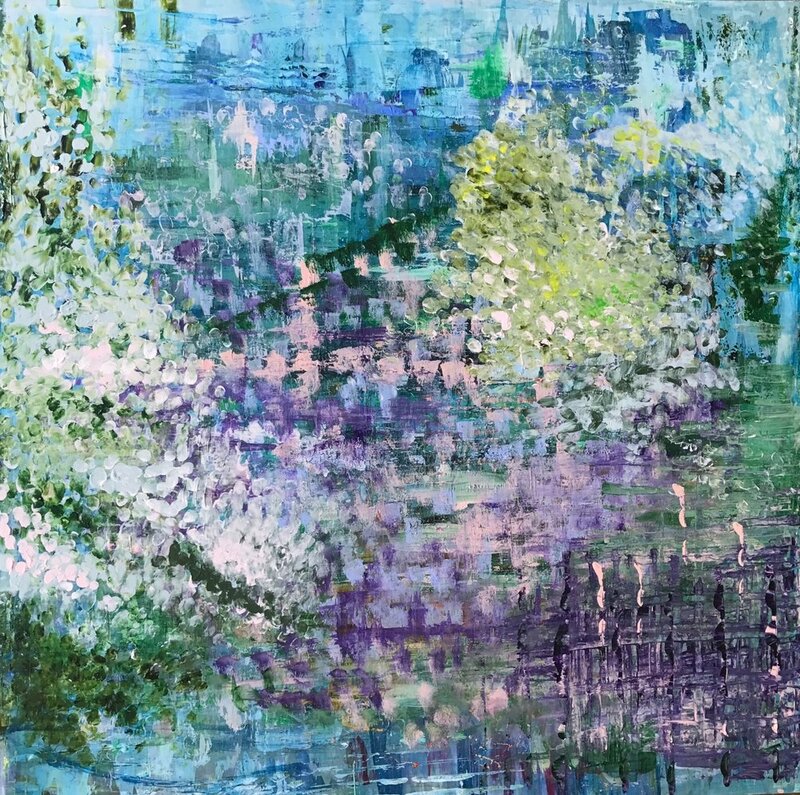 With her art works for inside hanging she channels her imagination and love of light and colour into her works on canvas, paper, board and silk. Landscapes, seascapes and Urban images, bursts of blossom and sweeping drifts of sandy beach. Images clearly visible to some, but hidden to others. Hand painted urn designed to be seen in the round as the four seasons travel around its body. The Ripley garden has a surprise round every corner including this painting commissioned to be seen from the barbecue area. The colours complement the garden at different times of the year. 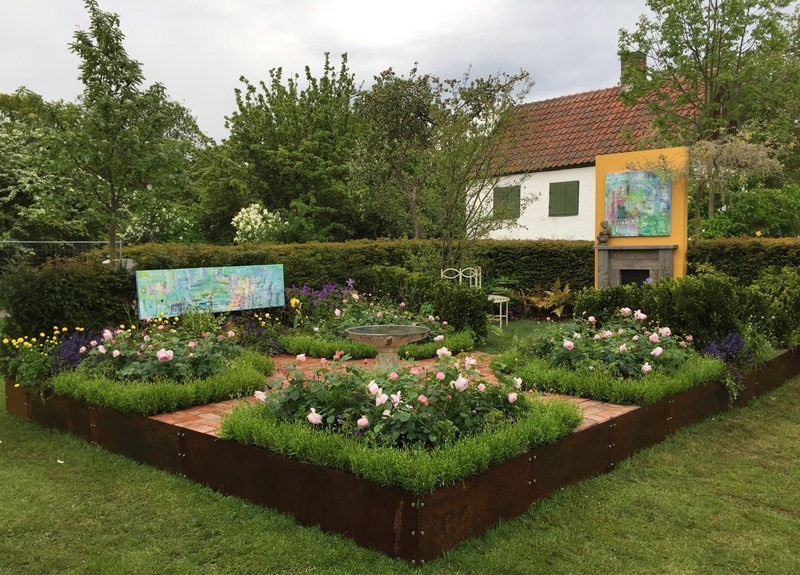 The 2015 Malmö Garden Show in Sweden saw the first European showcasing of Jane’s garden art. 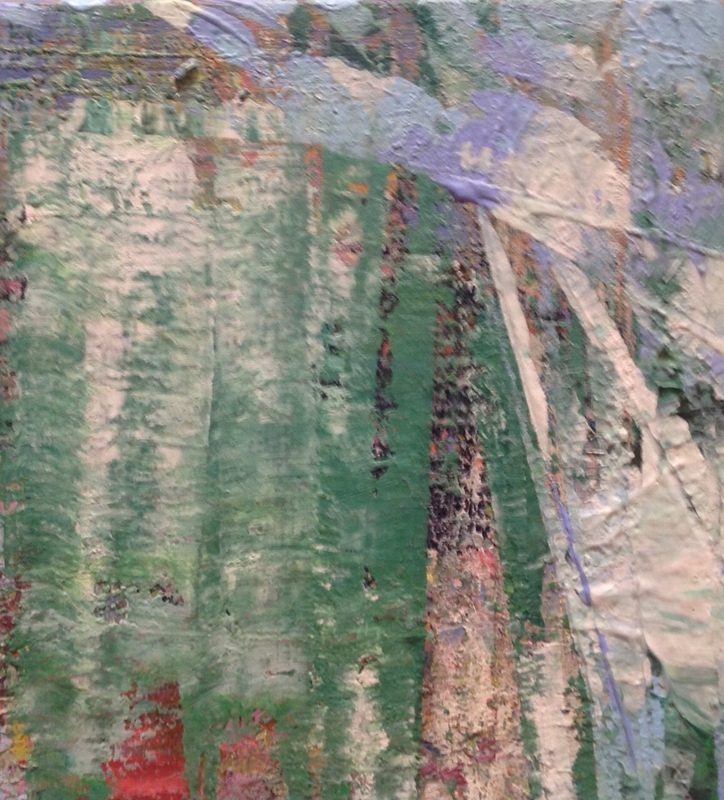 Two canvases were commissioned by David Wyndham Lewis for his acclaimed international garden. 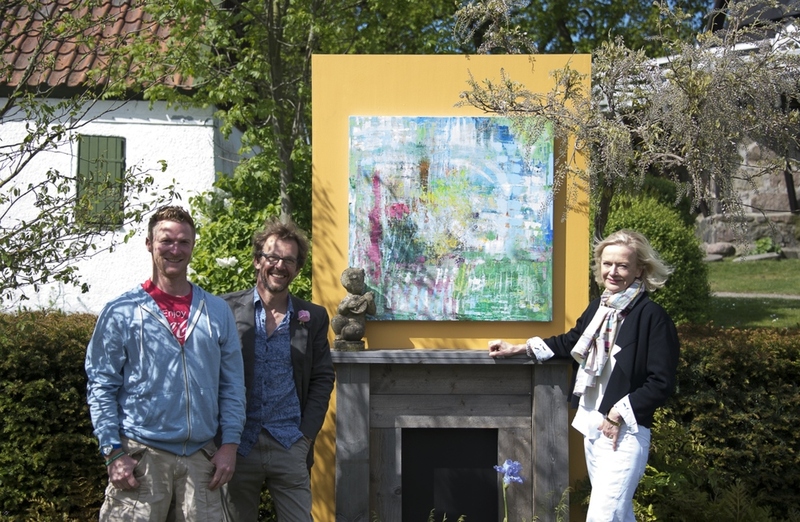 Jane was inspired by the quintessentially English garden and David's final planting was inspired by her Art. From Valentine's day sized mini canvases to oversized installations hearts are a recurrent theme in Jane's work.